Online reviews are an important aspect of your business, whether you want them to be, or not. Good or bad, they are not something you can simply opt out of. And yes, managing them can be a daunting task. Depending upon the size of your business, the number of locations, and the volume of reviews you receive, you will need to optimize, prioritize, and be very selective in vetting which reviews to respond to, and how. For large organizations with numerous locations, and a high volume of reviews, the objective may seem insurmountable. Having a clear and defined strategy is a must. You don’t need to respond to every review, but you do need to define what reviews are important to your business and to consumers, and how you will identify and respond to them. This quick-start guide will provide the framework you need to begin establishing an online review reputation strategy. First, not all reviews require or need a response. If the review includes derogatory or degrading comments and the language and opinions are irrational or the reviewer is a “regular or frequent” complainer, it may be better left alone. Additionally, if the comment or review is found on a small or obscure website, and is biased or unfair, you may be better served to leave it alone rather than draw attention to it. On the flip-side of this, ALWAYS respond to legitimate and genuine concerns and opinions, negative or not. Hearing your customer out takes care of itself in this example, because they’ve already written their review, but it may be useful to give them space to provide more details. Empathizing means acknowledging their experience, regardless of whether you think those emotions are justified or not. Once you show that you empathize, you should apologize for their experience— it matters. Again, this has nothing to do with who is right or wrong. You don’t want anyone who comes to your business to have a bad experience, right? The final step is the most important one, and that’s to take action. Let them know that their complaint has been heard and you’re going to do something about it, even if it’s as simple as, “We’re going to talk to the people involved and take a closer look at our policies around XYZ.” Many times there’s not all that much you can do after the fact, but capping your response off with action is how you give it forward momentum. Your audience is much bigger than one dissatisfied customer. Think about all the people who are thinking of patronizing your business who have decided to check out some negative reviews first. Your response to an unhappy customer is an opportunity to show everyone else that you take criticism seriously, are interested in improving, and that you care about your customers and want them to have a great experience. From this vantage point, suddenly your negative reviews become some of your best advertising. The other side of the coin is responding to positive reviews, and there are two big reasons to include that as part of your account manager’s day-to-day activities. For one thing, it’s important to show your customers it matters to you that they had a stellar experience and that you appreciate that they took the time and energy to leave you feedback. For another, you don’t want to give off the impression that the only way to get your attention is to leave negative feedback. If a customer has already taken the time to log into their account and fill out a positive review, it means that they’re pretty motivated to share their experiences with others. This is exactly the type of customer who can become an advocate for your brand, so treating them well should be a top priority. That doesn’t necessarily mean you’re always giving out freebies to anyone who leaves a positive comment— you’d be surprised how far a simple “thank you” will get you. The other reason you need to respond to positive feedback is to show that bad reviews aren’t the only way to get your business to engage. Think about it from the perspective of someone browsing your reviews: a business that only communicates with customers when something goes wrong is going to seem a little self-interested. People are interested in brands that genuinely care about their experience, not just what makes them look bad. Whether it’s responding to good reviews or bad reviews, you want to make sure that you’re not overdoing. You don’t want to come off as a “helicopter brand” that can’t let the slightest bit of feedback go uncommented-on. Find a reasonable balance, and whenever a new review is posted, ask yourself if it’s something that someone would want you to address or if it stands well enough on its own. However your accounts are managed, there are amazing opportunities that come from having a business with multiple locations on review sites. Reviews mean you get individualized data streams about each different satellite location, and so it’s a good idea to consider what KPIs might be useful to track to compare locations. You can use those insights to make improvements throughout your organization. Review average isn’t the be-all-end-all, but it’s the first thing a user will look at if they’re thinking of visiting your business. Keep in mind that, unless you have a very high volume of reviews, one review can really swing a rating. For monthly reports, it’s useful to sort reviews into three categories: positive, negative, and neutral. After that, you’ll also want to look at the number of reviews. Like we said before, motivating someone to jump online and take the time to share their experience is a big accomplishment, so you want to be aware of which locations are particularly successful at it. Another useful thing to look at is a visualization that sorts complaints by category. A pie chart, histogram, or bar graph is a great way to quickly compare locations at a glance to be able to figure out what’s really going on at each spot. Theoretically, your complaint distribution should be similar among locations, so if there’s some sort of discrepancy it’s worth investigating what factors could be creating a better or worse breakdown. Comparing key KPIs between locations is a great way to quickly identify what specific satellites are doing right (or wrong) and share those lessons across the company. If you find that a location is particularly good at getting positive reviews, you should try to figure out why that’s happening and how that might inform your training. If your business has multiple locations, managing online reviews become even more important. You might already have profiles for satellite locations that you aren’t even aware of, created by customers or even a proactive employee. If you’re not doing anything to make sure that your brand voice, policies, and procedures are standardized in a way that makes sense for your company, you could run into some major trouble down the line. At the same time, each listing should reflect the peculiarities and unique quirks of each location. Overall, it’s a tough job to manage online reviews for a business with multiple locations, but with the right insights and tools you can make a plan that helps you incorporate feedback, boost referrals, and make the kind of personal connections between individuals and your brand that creates advocates for your company. We’ll first focus on reviews customers leave for your business, and then look at Glassdoor, which lets employees give anonymous feedback about your company. Let’s get started. For major online review sites, it’s standard policy that each of your business’s separate locations has its own individual listing. Facebook lets you have a separate brand page for your overall business, but you still need individual listings as well for each location. While it’s natural to want to be able to take advantage of your brand’s great overall reputation for all your locations, there are a lot of great benefits to having individual listings for each location. For one thing, it makes it much easier to track each satellite’s performance and hold them accountable for their successes and failures. For another, you can use it as an opportunity to collect data and run experiments that can inform your business strategy. Getting started varies for each major platform, but most of the guiding principles are going to be the same. Glassdoor is a special case, so we’ll get to that later on. Consistency across listings is incredibly important for SEO purposes, so make sure that the NAP (Name, Address, and Phone Number) is identical on all platforms. Double checking how the address comes up when you click through to the map feature is a good idea as well— you don’t want your customers ending up in a parking lot around the corner (and possibly by a competitor’s location). Review Trackers has a great collection of links to all of the resources you need to get started managing your business’s listings on the major review sites. If you have multiple locations, and especially if it’s a pretty large number of locations, it can be tempting to leave it to each individual satellite to deal with their own listings. We’ll get into the right way to do that a little later, but for now, there’s a key pitfall we need to avoid, which is spreading the administration of these listings across several accounts. Instead, you need to upload (or claim, if the location is already listed) all of your locations from a single, centralized account. There are several reasons you need a central account for multiple listings. For one thing, you want to make sure that you don’t run into problems down the line if you’re dealing with turnover or transitions. One account means that you won’t lose access to a particular location’s listing if someone changes job titles, and it lets you streamline the transition process. If a key piece of information changes, you need to be able to update all of that info at once, not chase people around to make sure a key phone number or URL is up-to-date. Google and Facebook have bulk uploading features to make that easier, allowing you to put all of your info into a spreadsheet and then generate listings from the document. Yelp also has this functionality, but only if you’re paying for a premium account. You get a lot more than just bulk uploads for your money, so it’s worth considering if the other features, like embedding a call to action or removing a competitor’s ads from your page, appeal to you. For Google, getting all your locations on a single account means that all of the data feeds into AdWords, which is useful in and of itself. It also lets you do broader keyword research to help you refine your content strategy. For Yelp, all of your listings will feed into their Business Analytics dashboard to help you identify key trends over time and track engagement. For Facebook, you can use Locations to do similar things. Once you have gotten through the work of getting each location’s listing established online, it’s important to remember that you need to spend some time thinking about how to individualize them. Some shared brand imagery is certainly useful, but keep in mind that you’re mainly catering to a mobile audience trying to figure out where to go so pictures from each individual location are crucial. You also want to make sure you cover any specific quirks of each satellite: hours, entrance location, accessibility, etc. This also helps each listing feel more personal and less corporate, which is always a good thing. One thing to be careful of if you’re in a bigger company is making sure that you’re looking at reviews that are actually in your line of business. A large company may have several branches, offices, and outlets. It can useful to not have all of these reviews lumped together, but it also means that you need to be careful that you’re looking at the right information when you sit down to respond to reviews. The main job of handling multiple listings for your business isn’t simply getting them online. It’s doing the hard work of actually managing the account—specifically, responding to reviews and being the voice of your business. There are several factors you need to consider when deciding who should take the lead. On the one hand, you need to make sure that your business’s brand, voice, and values are consistent in everything you do. On the other, each location is going to have its own individual quirks and, especially with reviews, you want to make sure that whoever is responding has some knowledge of the people and processes involved. Basically, it can be tricky to figure out where account management should live, whether it’s in the hands of marketing, management, customer service, or even human resources. Many companies deploy a hybrid structure to try to come at this problem from all angles. There will be someone who “owns” each location’s account, but also a set of standards for when to pass a particular issue off to another person or department. It’s important to make sure this person can identify when something is out of their scope and get someone with more knowledge or authority involved. What’s more, customer service and marketing should each have someone with access to your business’s accounts because managing reviews is really a little of both. You need to identify the root issue of a customer’s problem and find a way to take responsibility and remedy that in a meaningful way. At the same time, all of this is happening in the public eye so it’s important to consider how it will look to the next user who is looking up reviews of your business. That could mean that customer service drafts something and runs it by someone in marketing, or that marketing asks customer service what’s doable before actually writing the response. However; you want to fit online review management into your business operations model is fine, you just need to realize it has a broader scope than it might seem at first glance and strategize accordingly. Managing your company’s online reviews is clearly important, but you need to use your resources as economically as possible. This means knowing which platforms deserve your attention the most. What follows are the five most important platforms. Spend your time on all of these at first and, over time, it should become obvious which ones are most relevant to your company. As you probably already know, a lot of people depend on Yelp to help with their buying decisions. In fact, 145 million visitors visit Yelp every single month. So, yes, it’s important that you manage your online reviews on this site. The first thing to do is make sure your account is updated. Among other things, this means providing up-to-date, flattering images of your business. Include any social media platforms you’re on, as well. This will be a reoccurring theme for all these platforms, but should you ever receive a negative review, you need to respond. No matter what, do not fight fire with fire. Remain polite, explain what happened in your words, offer an apology, and, if applicable, tell the reviewer how you’re addressing the situations so the issue doesn’t occur again. If you win the customer over, great. The main goal is to make sure that anyone who is considering your restaurant will see your response and decide to give you a chance, despite what the other person said. Also, make sure you respond in a timely fashion. It should be clear that you care what your customers think. In many ways, Google is similar to Yelp in that you need to keep a close eye on customer feedback and do your best to make amends when they’re negative. Google is also very open to removing inappropriate reviews so be sure to exercise this option whenever possible. Remember, too, that Google pulls information from other sites. Search for your company’s name – and any common variations of it – and you’ll see which sites it relies on the most. Focus on improving your online reviews on those sites and you’ll see positive results. Speaking of companies Google depends on, you should definitely focus on what’s being said about your business on Facebook. The big advantage you have with Facebook is that people return to the site constantly. On average, users spend 35 minutes on it a day. This is important because it means your response to a negative review can open a dialogue. The person who left it will see your explanation, so as long as it’s polite and sincere, you have a very real chance to turn things around. Better still, anyone who chimes in or reacts to the comments will see your responses as they roll in, as well. Managing your online reviews on G2 Crowd is exceptionally easy. After all, the site is literally designed to help companies in the software market analyze the feedback they receive. More than that, G2 will provide you with insights about your business’ name recognition, which marketing efforts are paying off the most, and what kinds of conversations involve your company. If negative reviews arrive, you can take the standard approach of responding to them and trying to rectify whatever problem led to it. This is always a good idea, but it’s especially powerful on G2 Crowd considering that more than 37,000 people visit this site every night specifically to look for software. It’s a niche site that caters to a specific industry. People go beyond just seeing how many stars a company received, so definitely spend time politely giving your side of the story when a bad review comes in. Furthermore, it’s never a bad idea to invest in some PR, but it will be even more helpful if you’re trying to do well on G2 Crowd. This site pulls from millions of web pages, blog posts, and social media platforms. It’s constantly mining the opinions of the software industry’s influencers, so make sure they’re saying nice things about your business. Make sure you actually claim your business on Angie’s list, so you’re able to manage your account and respond to reviews. That said, it is notoriously difficult to get reviews removed from Angie’s List. If you can’t prove it was fraudulent, your best bet is to speak with the customer so they contact Angie’s List to remove it. Keep in mind that not claiming your company won’t keep reviews from getting posted, either. Glassdoor is a little different than other review sites because it’s meant for employees to post anonymously about what it’s like to work at your business. Instead of customer service, responding to reviews on Glassdoor should be looked at as a combination of marketing and human resources. This platform is all about transparency, so nobody will buy your responses if you continually deny that the reasons for a negative review exist. Like any other review, you need to be honest, genuine, and ready to take action. Ignoring poor reviews doesn’t make them go away, but it’s also important to have a sense of what the scale is like on Glassdoor. Zappos, a company generally considered to be a great place to work, still only has 3.9 stars out of 5. The average company score on Glassdoor is 3.2, and the “best places to work” awards generally go to businesses that are around 4 to 4.7 stars. Glassdoor reviews definitely affect the way your company is perceived, but the most important thing to keep in mind is that it’s a great opportunity to collect candid feedback that will help you make big improvements to company culture or processes that can boost efficiency and swing morale. Your employees are the experts in their job, so you should really want to know if they have feedback they haven’t found a way to give you through more formal channels. Glassdoor has put together its own helpful guide for dealing with negative reviews. If you’ve done all your homework and there are some negative reviews that just won’t go away, there’s also an option to use advertising to push them down on your page. Now that you better understand how these different platforms work, it’s time to begin tracking your reviews. 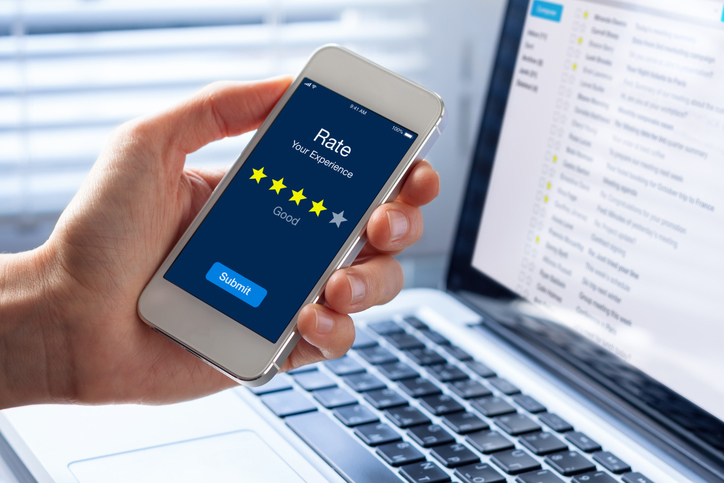 While you may not always be successful at getting them removed, tracking your company’s online reviews will give you insight into what you need to change to earn better feedback. It will also tell you which platforms are the most popular among your customers, which should help refine your buyer personas – and, thus, your marketing and customer service. This will be much easier to do if you utilize a platform designed specifically for tracking online reviews, especially if you choose one that will assist your company with other important forms of reputation management. It won’t take you long to realize that there are countless platforms for tracking and managing online reviews on the market. The following 6 are among the most popular and will meet most organizations needs and requirements. Automate a review collection process seamlessly into your customer journey. Build trust on a platform for both businesses and customers. Showcase your reputation where it matters. Amplify your presence across all channels including search, social, paid, and offline media. Constantly monitor reviews from Google, Facebook, TripAdvisor and over 80 other review sources. Request additional customer feedback. Track location performance and more. Optimize review volume on Google, Facebook and the industry-specific review sites that matter to you. Protect your reputation with a system that proactively catches unhappy customers for offline recovery. Having a local business is hard, getting great reviews is harder – we make it easy. Attract new customers and grow your business with great reviews and enhanced SEO. Identify happy customers and encourage them to write positive reviews for your business. Create custom campaigns to ask your customers for feedback and thank them for their business. If your company’s budget is tight right now, you can also use an Excel spreadsheet to manage your online reviews. Obviously, this will take a little more work, depending on how many you regularly receive, but it’s far from impossible. Create one tab for all reviews and then add others for each specific site you’re monitoring. As time goes on, you can turn these into charts, to see if your positive reviews are trending up or down. For the “Action Taken” row, keep it simple. “Explained” is good enough to describe what you offered your side of the story. “Private” is good enough to describe that you reached out privately to the customer. For the response, what, if any, action the customer took. On the main tab, provide monthly breakdowns for each platform so you can see how you’re doing at a glance. 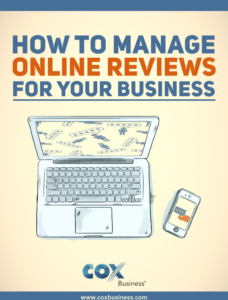 You now have a better understanding of how online reviews affect your business. You know how to garner positive ones and what to do about the negative ones. You even have options for leveraging top platforms to help track your reviews and build a better reputation. The only thing left to do is to treat the management of online reviews as a true priority in your organization. Managing online reviews is a big job and there are several decisions you need to make to ensure that everything goes smoothly. A management and training structure that helps your team respond thoughtfully to feedback while also keeping in mind your company’s broader brand image is key to being authentic on these platforms.